This is an interesting story that I came across last week. It started with a guy playing with his ex-girlfriend’s pregnancy test… and the result was positive! He told his friend about it and he made a rage comic and posted it on reddit. Several users pointed out that he should check with his oncologist, and he did. As it turns out, he had a rare form of testicular cancer that would produce human chorionic gonadotropin, a hormone that is being detected in the pregnancy test. This (un)fortunate incident helped his early detection of the cancer and saved his life. They announced the update through another rage comic again. Boing boing has an elaborate discussion of the science behind this. This entry was posted by Yuk Fai Leung on November 10, 2012 at 4:05 PM under Fai's sharing. 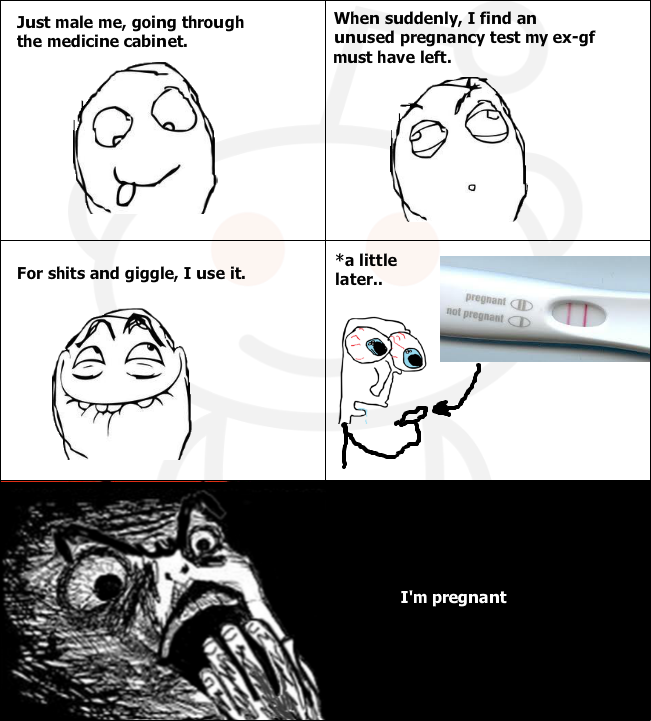 Tagged hCG, pregnancy test, rage comics, reddit, testicular cancer. You can leave a response, or trackback from your own site. Follow any responses to this entry through the RSS 2.0 feed.